After reading several really tough memoirs for my nonfiction books for every state challenge, I needed something lighter and fun to read for my challenge. 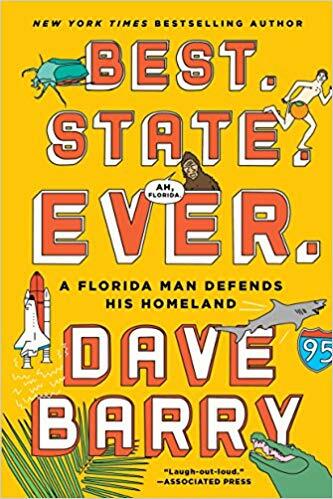 Best State Ever A Florida Man Defends His Homeland by Dave Barry ended up being the perfect book. It is a book all about Florida written in classic Dave Barry style. His writing is so funny. He takes serious subjects and makes them entertaining. This book in entertaining and fun. I have never been to Florida, but now I want to go. Dave Barry’s humor is not for everyone, but if you love his style of writing I think you will love this book. I will say that his humor is not always clean, but overall I enjoyed this.